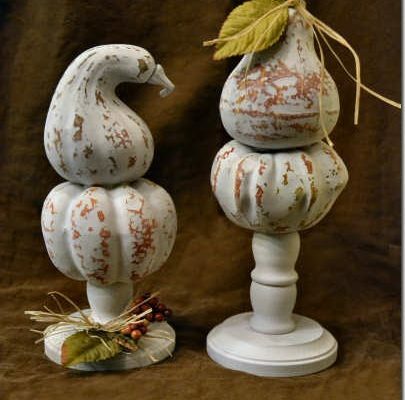 Thanksgiving Details—Don’t Forget The Kids! While you’re busy finalizing your Thanksgiving menu and putting the final touches on your decorating before your Thanksgiving guests arrive, don’t forget the kids! Here are a few fantastic ideas for making the kids’ table fun and interactive. They won’t want to leave, and chances are, a few adults will end up there as well! How cute is this paper turkey filled with popcorn!? 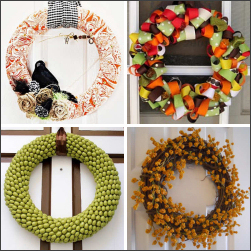 This fantastic idea comes from One Charming Party, and includes a tutorial so you can make your own. Of course, for a kids’ table, there’s really no need to go all out. What kid doesn’t love being able to color, doodle, and draw? A brown paper “tablecloth” and some cups filled with crayons and/or colored pencils can keep them entertained for quite some time. From Country Living. If your kiddos prefer chalk, you could whip up a few of these awesome chalkboard place mats. Flamingo Toes has all of the details for making your own. This Thanksgiving kids’ table from Lily’s Laundry has a whole assortment of things to keep the kids occupied—cute paper cones filled with popcorn, jars of beads and string for them to whip up some fun crafts, colorful markers to draw on the paper “tablecloth”. How could a kid be bored at this table? This next kids’ table from Celebrations At Home also has butcher paper and crayons (are we seeing a theme here? ), but other details include place “cards” made of cheese crackers (adorable!! ), a guessing game, and an acorn tree. You could even provide little tags where the kids could write down things that they’re thankful for, and hang the on the tree. Here’s another adorable placemat that will keep the kids busy. This tic tac toe placemat idea comes from the Cricut blog, but I’m sure you could make something similar even if you don’t own a Cricut. This yarn turkey from Parents would be adorable on a kids’ Thanksgiving table. He may look a little bare at first, but as the kids start adding feathers filled with things they’re thankful for, Mr. Turkey will begin to take shape. This “thankful box” from I Still Love You is another great way for kids to remember the things they’re thankful for. And on another note, how adorable are those caramel apple place cards?! A kids’ table certainly doesn’t have to be extravagant, just as long and they have a few fun activities to keep themselves busy while the adults are eating and chatting away. 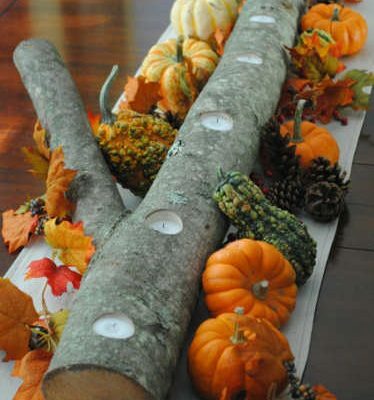 Do you have any other Thanksgiving kids’ table ideas that you’ve used at your own gatherings? Please share! Im so fascinated with these ideas!!!! I just finished decorating but im willing to change it a little bit for my KIDS!!! Woww.. very very nice Idea. I love so much. I want you to arrange for my house. I think my kids is so happy in this and eat a lot of food. .Indeed a very nice post and I am a devoted orthodontist reader at Las Vegas.Your post is really very valuable. Thanks for sharing. keep up the good posting.